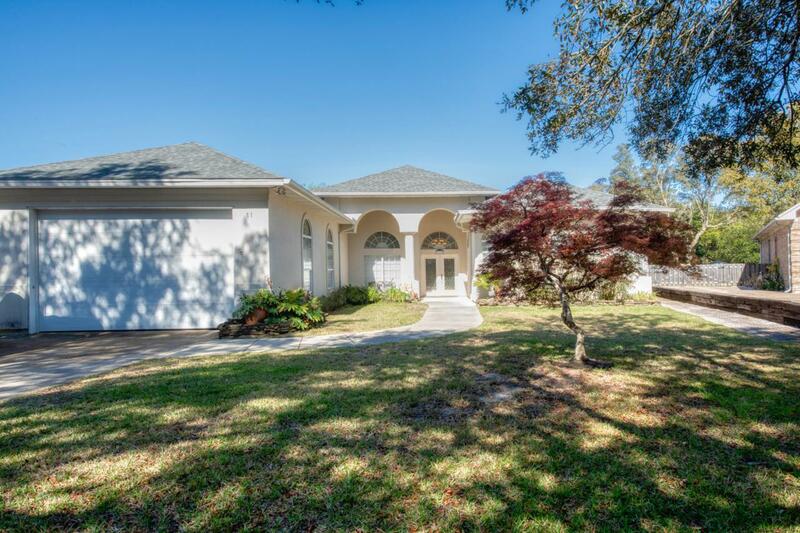 This gorgeous, elegant, custom built 4 bedroom/3 bath Mediterranean Style home is in the desirable Lake Lorraine neighborhood of Shalimar. 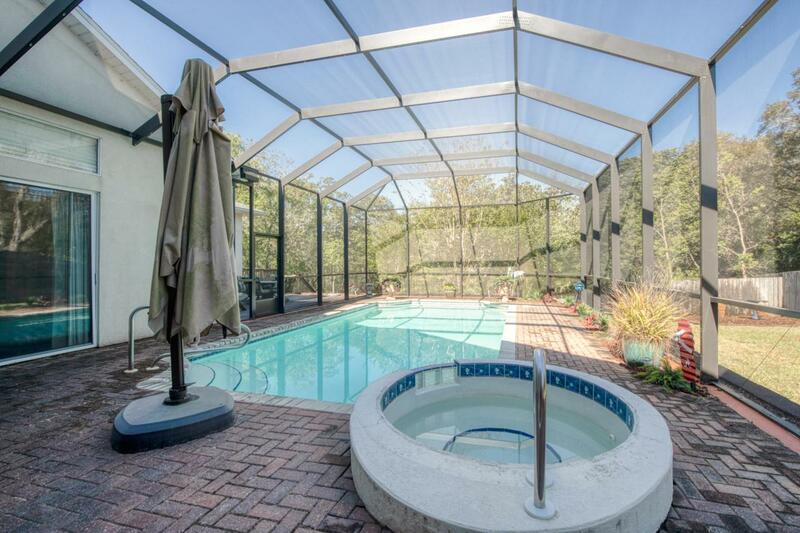 This home has the perfect location to all bases, beaches and is just outside the gate of the Shalimar Pointe Golf Club! 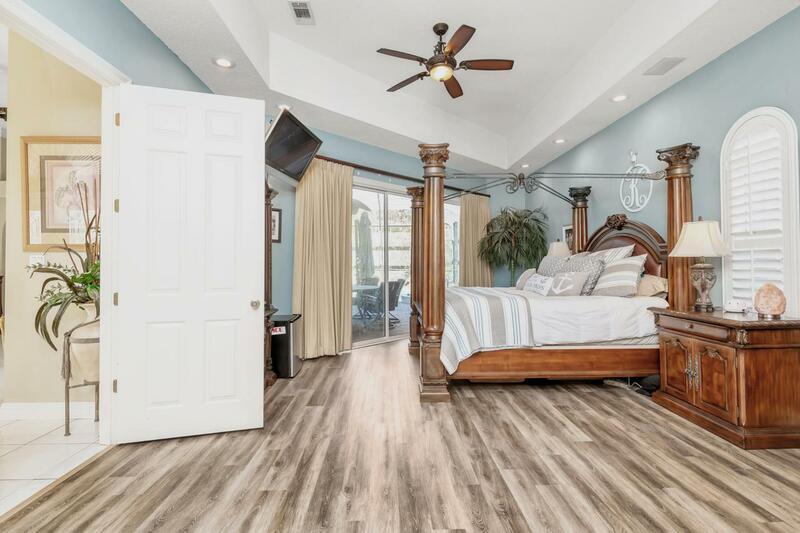 This beautiful home features 12' ceilings throughout and a view of the pool and hot tub from the master bedroom, foyer/sitting area, and living room! Three separate 8' sliding glass doors make natural light abound in this home, as well as make the home perfect for entertaining inside and outside! 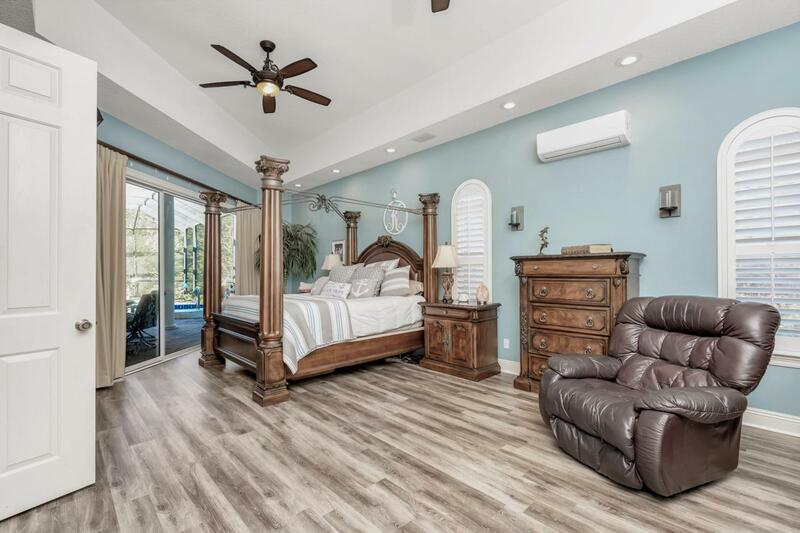 The master bedroom has trayed ceilings, recessed lighting, and a extra sitting area or space for a desk. The master bathroom has an oversized Jacuzzi bath tub, separate shower, double vanity, and a his and hers walk-in closets.Three additional bedrooms and 2 bathrooms complete this split floor plan home. The kitchen boast granite counters with custom cabinets, stainless steel appliance's , gas stove and an eat- in kitchen area with two pantries. The kitchen opens up to a large family room with gas fireplace and built in shelving along with a wet bar for entertaining friends and family. Off the family room is another large game room, den, office or 5th bedroom. The pool is 15 x 30 with a hot tub that has a waterfall into the pool. The pool has a gas heater and is a salt water pool. The screen enclosure has recently been added to enhance your time outside. Not included in the home's square footage is an 800 sqft walk out basement that is heated and cooled adding another additional living space or game room. The garage is oversized and can easily hold an RV or boat. There are many features that make this home one of a kind; white Italian tile floors, built-in book cases, custom light fixtures, crown molding, surround sound, are just a few of the extras. Many upgrades to the home have been completed in the past few years. Don't miss this extraordinary one of a kind home.